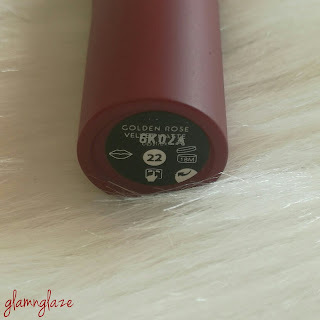 Today I am going to share with you my Golden Rose cosmetics haul! 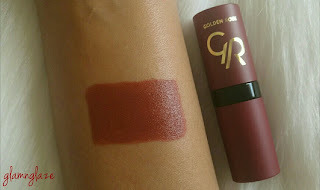 Yes, I have purchased few products from the Turkish cosmetics brand called Golden Rose(Erkul Cosmetics). "Erkul Cosmetics is one of the most important corporations of the cosmetics sector with the principles of high quality manufacturing and reasonable prices since its foundation in 1983. Erkul Cosmetics is one of the leading companies in the sector with its 30 years of experience; produces the color cosmetics products as foundation cream, compact powder blush, eye shadow, mascara, lipstick, lipgloss and nail lacquer with the brands Golden Rose, Classics, Miss Selene and Emily with a %100 Turkish capital. 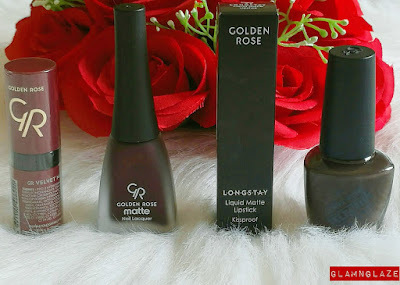 Erkul Cosmetics is one of the 5 top manufacturers of nail lacquer in the world and has carried its success beyond borders by exporting to more than 90 countries in 5 continents including America, North Africa, Middle East, Balkans, CIS Countries and Europe." The first product is a normal bullet-lipstick.It's from the Velvet Matte Lipstick collection in the shade number 22. There are thirty-nine shades in this range. 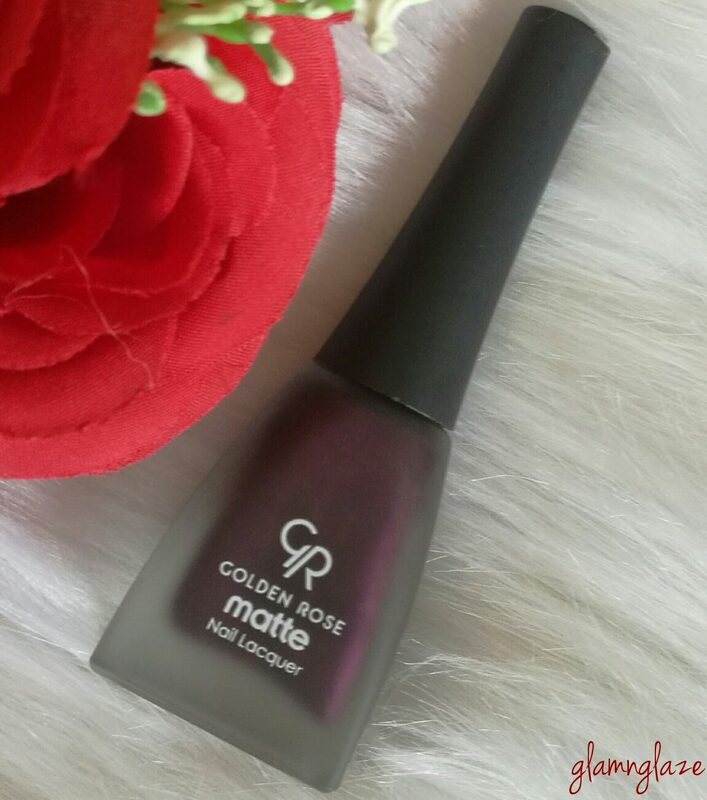 The next product is a matte nail lacquer in the shade 07.It retails for AED 15 for 11.5ml. Shelf -life of the product is mentioned on the packaging,18 months. 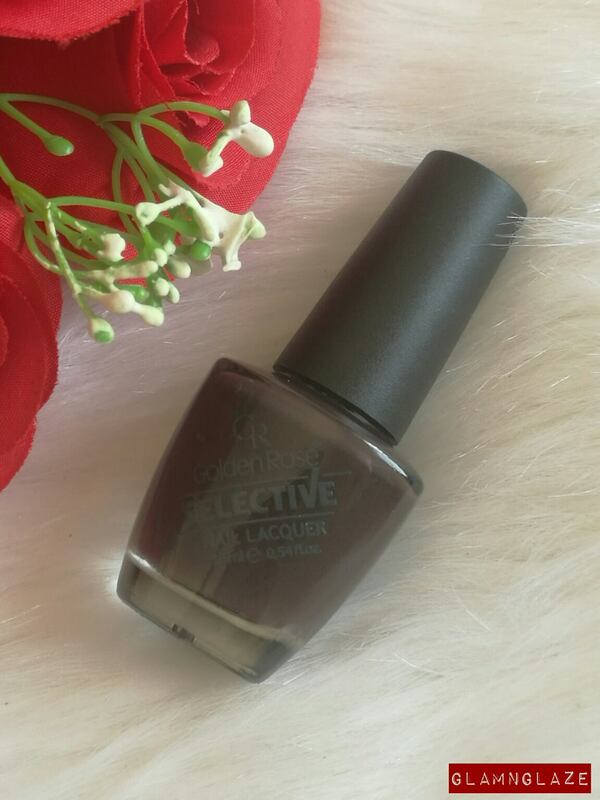 The nail-lacquer is a burgundy red shade. I love it.It's a very good quality nail paint and dries down to a complete matte-finish post application. Stays on the nails for about five to six days without chipping off from the nails!...isn't that awesome! 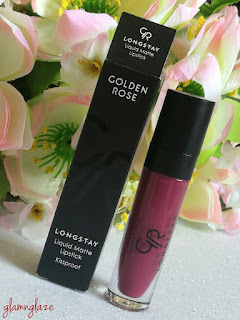 Third product is a liquid lipstick.It's called Longstay Liquid Matte Lipstick,Kiss proof by Golden Rose Cosmetics.There are twenty six shades in this range. This is a liquid matte lipstick in the shade # 05,Mulberry.I love this shade. 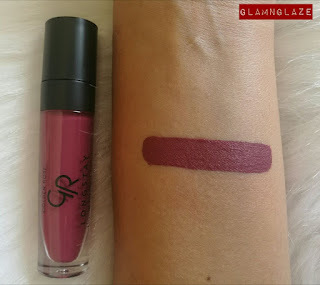 It's a deep berry pink shade with heavy blue undertones or a deep mauvy-pink shade. The lipstick has a mousse-like consistency and dries down to a complete matte-finish. It retails for AED 45 / RM 45 for 5.5 ml of the product. Full review of this product in the next post . 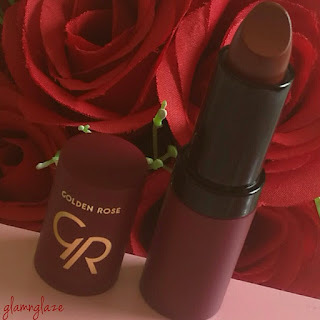 Last but certainly not the least is a nail paint that retails for AED 10.It's from the Golden Rose Selective Nail Lacquer range in the shade 76.Deep brown shade. 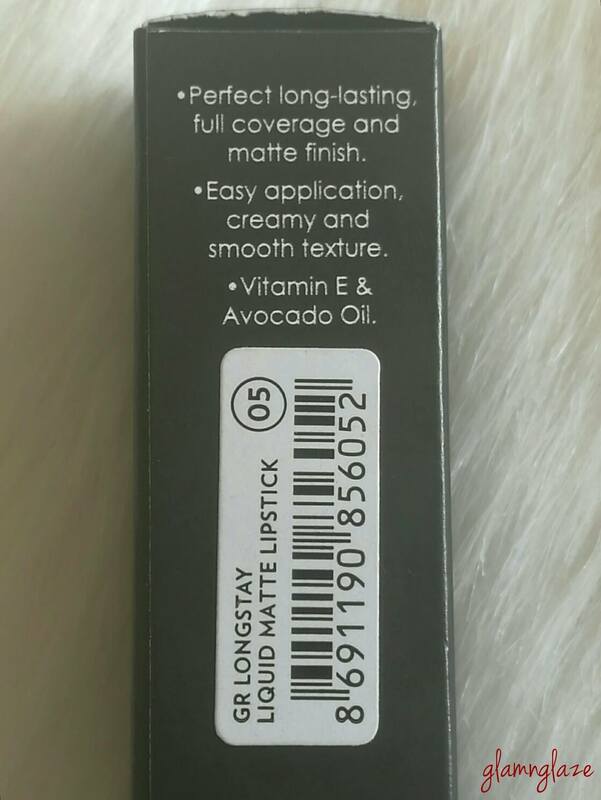 The bottle contains 16 ml / 0.54 fl oz of product and shelf-life is 36 months. It's really dark brown shade and has a satin finish...loads of shine it has! Consistency of the product is thin and we need to apply at least two coats of the product on the nails. I must say all the products are of a really good quality and value for money plus Paraben free. Have you tried any product from Golden Rose Cosmetics?What did you like the most out of the products shown here? Do share. In UAE, City Center Diera .